Oh man, I get such incredible hair envy that I just had to write a post about it. I'd say hair is probably the first thing I notice about a person and being on the internet sometimes alot, the amount of hair envy I have for certain people grows and grows on a daily basis. So here are the girls who's hair, for me, is just on point at the moment, so cute, so hot - I want! Half of them make me want to go and get some $5000 extensions and the rest a cute short bob again... what to choose! Pia Mia - If you don't know who this girl is then get googling/youtube searching. She is going to be big! A pal of those Jenner girls, but a total star in her own right down to an incredible singing voice! I am obsessed with this girl's look - her style is so laid back and cool and her hair is always looking awesome! Love these blonde bouncy curls with an added bit of edge. Emma Stone - *Hair make-over alert* Emma Stone has just had a fringe cut in and some gorgeous ombre put in her hair and it is looking gooood. I'm such an Emma fan and always thinks she looks gorgeous. Major hair and fringe envy here - especially as I could never rock this style! Kylie Jenner - I have loved slowly watching Kylie Jenner's style transformation online - I think it's great she knows what she likes and has her own look which is totally different from any of her sisters! Ariana Grande - My girl Ariana, she is just amazing in everyway! I feel so creepy writing that as she is younger than me... but she's so talented I feel like I can say it?! Right?! Ariana has been known throughout the past year or so for the half up-half down extension ponytail - which though being super cute she got alot of slack for because she never changed or switched it up (*Leave Ariana Alone*). 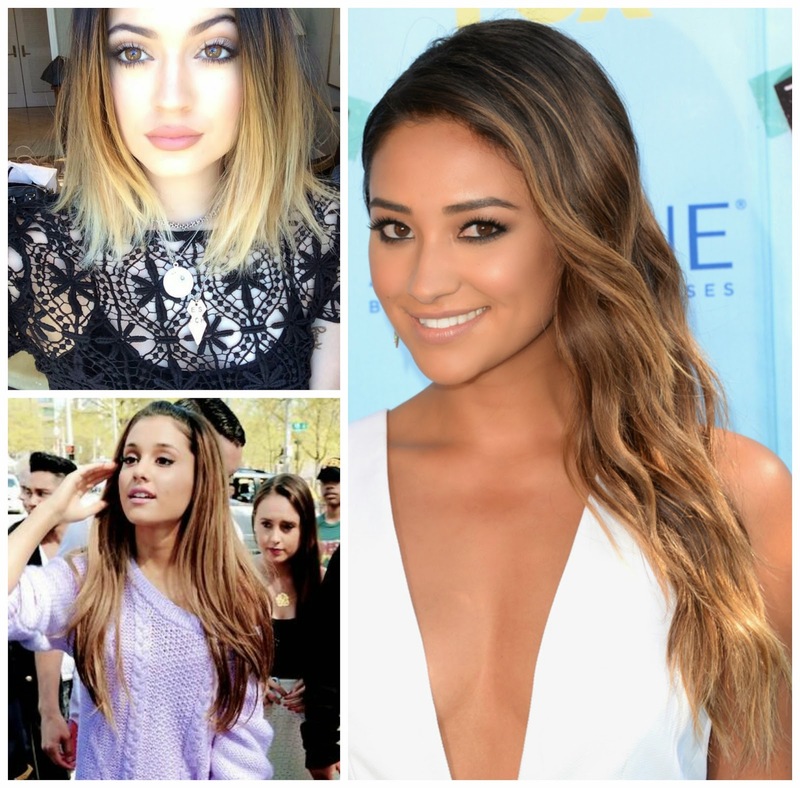 Shay Mitchell - The PLL with possibly the best hair? What do we reckon? I'm a huge Ashley Benson fan when it comes to hair and make-up (maybe because I'm blonde) but recently I have been in awe of Shay's locks both on the show and off! I love the new lighter tones she has had added! Her hair always looks so effortlessly perfect - you go Shay! 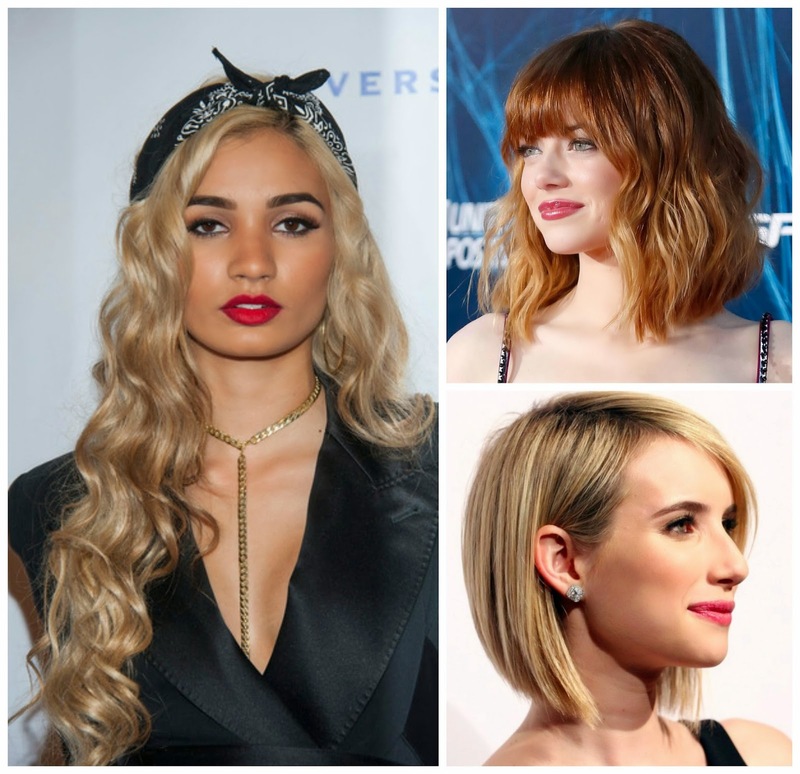 So there's my current hair crushes - what do you reckon? Who's hair are you loving at the moment? Well your hair are definitely eviable as well!! Yesss! I love Shay's hair! She is so gorgeous! Shay's hair is just beyond gorge! And obviously miss Emma can pull of anything! I have ants in my pants to do something different with my hair, and I've picked up some cool ideas! Thanks Doll! I love Emma Stones hair. I'm growing my hair out at the moment so I'm obsessed with celebrity bobs/lobs. Emma Stone's fringe and ombre is GORGEOUS. Lily Collins' wavy bob and Kaley Cuoco's new look are also faves. Ooooh I loved thisss!! From one 16 year old mousey haired brace face to another haha, sending loveage! !